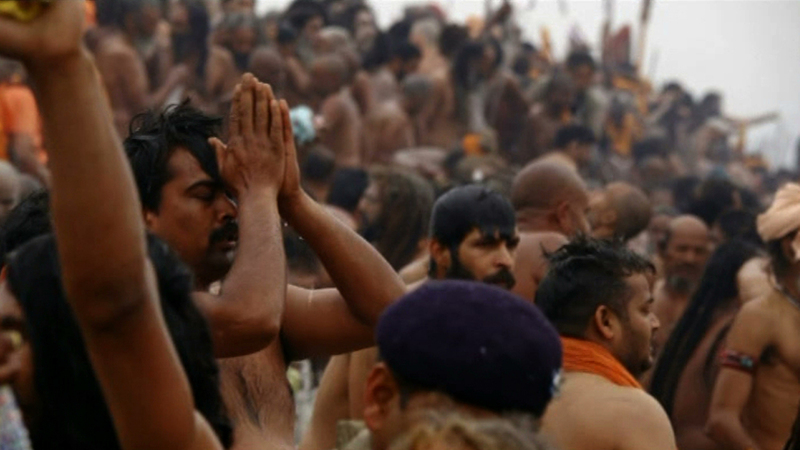 Every 12 years, the Hindu festival of Kumbh Mela brings tens of millions of people to the Ganges, the biggest organised gathering on the planet. A visual treat, this report explores the mind-boggling event. During the festival the Mela area becomes an incredible pop-up city, with improvised accommodation and amenities for a vast influx of visitors. "The government gives a lot, it is so well organised", smiles one pilgrim. Yet the festival has its dangers; 36 were killed in a stampede earlier this month. Can the authorities ever safely control the world's largest crowd?